Hi there! 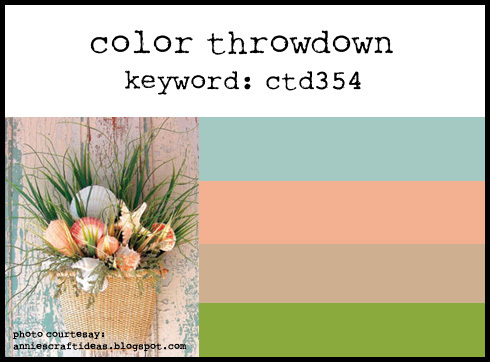 I'm thrilled today to be playing along with The Colour Throwdown as their Guest Designer! How sweet is that hanging basket with the grasses and seashells? Such a great beach cottage feel to it - so perfect for this time of year. Hopefully these colours will inspire you to get creating and if you play along remember that the deadline is 6pm EST on Monday, 10 August. 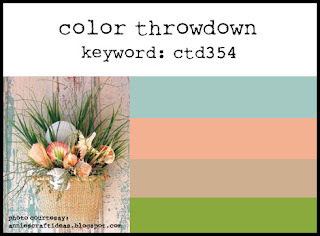 LOVE how you have used this colour combo Jen, BIG Congrats on your well deserved GD Gig! Such a pretty use of these colours. Congrats on your guest gig! 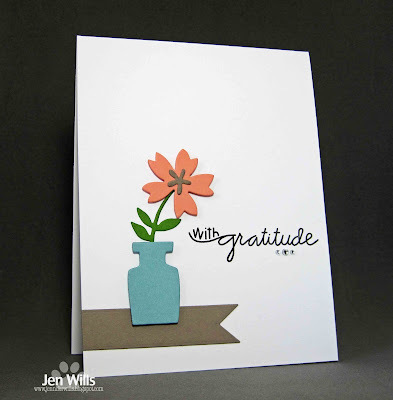 What a beautiful CAS design...so clean and crisp with the sweet little vase and all the white space...love this!!! Congrats on being chosen as the Guest Star Stamper this week!!!! Jen, your CAS design is wonderful! I always struggle with keeping cards clean and simple, but this card rocks! 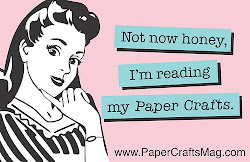 Love your clean and simple design! That die cut vase and flower look great against the white background. Thanks for joining us this week as our Guest Star Stamper!